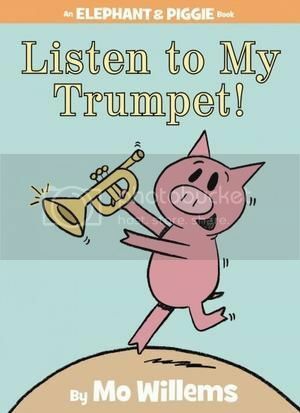 Another wonderful entry to the beloved Elephant and Piggie series. Reading this one out loud will require some skill - a wide variety of elephantine trumpeting noises takes this one over the top. Sure to be enjoyed by fans of funny early readers. Can it really be possible that there are seventeen volumes in this series already? This adorable offering follows the adventures of a book character who steps out of the pages of his book. It's very pro-library. I like to pair this with another bear'ish book story - More Bears by Kenn Nesbitt which is just about as silly as this book is sweet. Astute readers will notice that Otto's storybook pictures change slightly as he travels and meets new people. 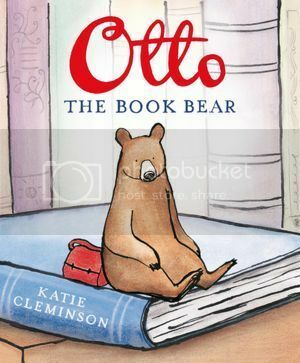 Another thing I loved: Otto (and all the other book characters) are tiny! When I read this aloud, kids loved pointing out how Otto was dwarfed by pedestrians on the street. When he finally makes it to the library, and meets up with all the other book characters there, there's such a sense of quiet joy. I loved this book. Here's a very humorous math book - which is sort of but not quite about counting. I loved the little decorations adding funny details on nearly all the pages - for example, the tiny cop explaining that 0 does not equal donuts. Each number is imbued with his or her own personality which stays consistent through the book - 1 is a pickle-green winner, 2 is a frou-frou girly-girl, 7 is a surfer, 5 is a pocket-protector, bow-tie wearing nerd. The roman numerals who attack are shown as fierce, toga-wearing barbarians, and I liked the moment when 8 says to VIII, "So, it takes four of you to do my job?" A welcome book in any STEM classroom! 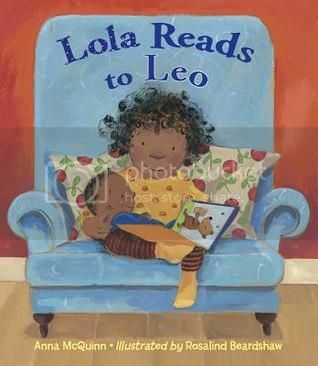 Big sister Lola can think of a book to share with new baby Leo for nearly every situation, whether it's time for the potty, time for a bath, or time for a nap. This is a warm and loving look at a contemporary African-American family. A great choice for any toddler expecting a new brother or sister. That Zero the Hero book looks hilarious. I really love Lichtenheld's illustrations too. Sounds just as good as E-mergency! I agree with Helena (as usual!). 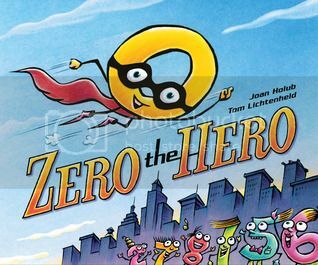 Zero the Hero looks great, and definitely good for Core Curriculum!